About White Plains: White Plains is a city located in Westchester County. The city of White Plains has an approximate population of 60,000 residents. The Federal Courthouse and the New York State Supreme Courthouse are both located here as well as many large corporations; such as IBM, Snapple, PepsiCo, and many others. Our New York Property Tax Reduction Attorneys have assisted residential and commercial clients throughout the Hudson Valley for years. Our Real Estate Lawyers are knowledgeable on the subject of property tax reduction and have been recognized as superb lawyers. Our team of lawyers maintain a strong working relationship with a large network of real estate appraisers. Together, we examine your current property assessment records for errors and inaccuracies. 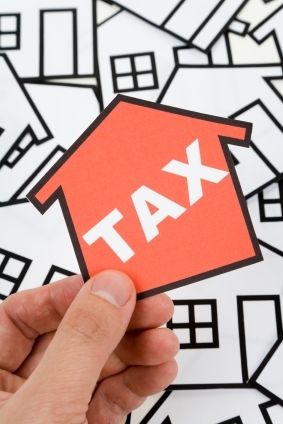 In turn, we utilize this information to fight for you to save money on your property tax. Don’t Overpay Your Property Taxes. Save Money. Save Time. About Our Firm: Our law firm is vigilant in prosecuting tax certiorari claims. We have extensive experience arguing matters in the Supreme Court and meeting the arduous filing deadlines as required by each municipality. Our tax assessment review team is lead by Tejash V. Sanchala. Mr. Sanchala is a life-long resident of Westchester County and has practiced law for large firms and Fortune 500 corporations. Finding the right lawyer for you. What is tax certiorari? Tax Certiorari (“tax cert”) is a property tax appeal. Filing a claim for property tax reduction also known as tax cert, can be a power tool for homeowners to save money. Finding the right firm can make all the difference. We recommend that you call our firm at (914) 723-7900 and ask for a confidential consultation. What are my chances of winning a tax cert? At the outset, it is important for prospective clients to understand that just because property values have decreased that does not guarantee your taxes will be reduced. It is important to know that having the right lawyer at the very beginning of the process can make all the difference in whether or not you succeed for fail. How does the tax grievance process work? Upon deciding that you would like to apply for a tax certiorari proceeding, you will speak with one our lawyers who will conduct a legal analysis of your claim. Our attorneys will then file a tax cert claim in your city, town, village, or hamlet for review. If necessary, our lawyers will appear at the administrative hearings and advocate for you. Over our twenty five years, we have excelled at having properties assessments reduced thereby resulting in a refund and savings for you. Our lawyers can be frequently found fighting for property owners located in the following muncipalities: Ardsley, Bedford Town, Briarcliff Manor, Bronxville Village, Buchanan Village, Cortlandt, Croton-On-Hudson, Dobbs Ferry, Eastchester, Elmsford, Greenburgh, Harrison, Hastings-on-Hudson, Irvington, Larchmont, Lewisboro, Mamaroneck, Mount Kisco, Mount Pleasant,Mount Vernon, New Castle, New Rochelle, North Castle, North Salem, Ossining, Peekskill, Pelham, Pleasantville, Port Chester, Pound Ridge, Rye, Scarsdale, Sleepy Hollow, Somers, Tarrytown, Tuckahoe, White Plains, Yonkers and Yorktown Heights.